Obviously, Dragon’s Blood is not really blood from a dragon. It is a resin produced by the rattan palm tree, Daemonorops draco. Properties: Protection, power and good fortune. 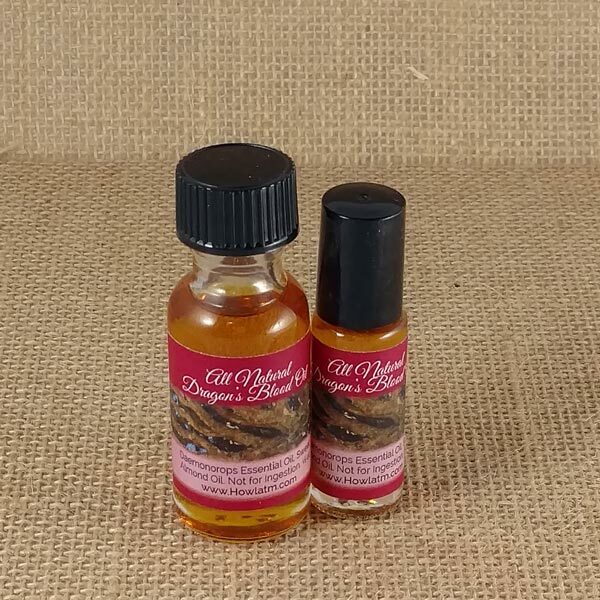 Available in 1/2 Ounce Glass Bottle or 1 dram roll-on bottle.